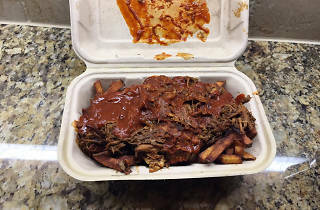 Specializing in hand-cut, twice-fried Belgian-style fries, this popular late-night spot offers a menu of wildly inventive takes on poutine, those gravy- and cheese curd-topped taters that hail from Quebec. 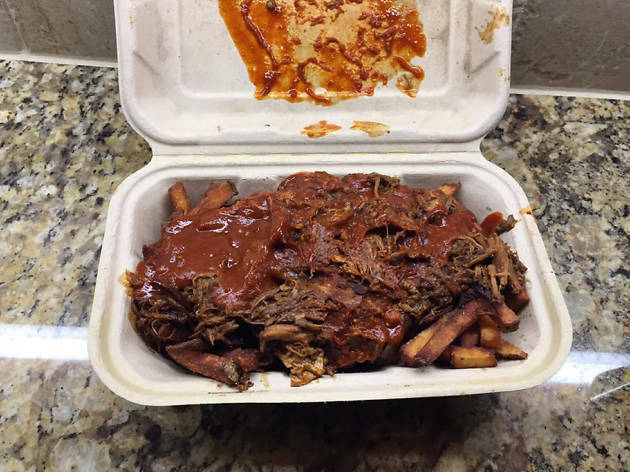 The classic version is delicious, but we’re partial to an Americanized take that spoons rich BBQ pulled pork over perfectly crisp fries. In 2008, Potato Champion opened it’s window to the public at the corner SE 12th and Hawthorne, establishing itself as one of Portland’s premier spots for late night food. Originally serving a limited menu of hand cut, twice fried Belgium style fries, a variety of house made dipping sauces, and our own version of the Canadian classic, Poutine, we have let our menu expand into an assortment of inventive fry related dishes. We pride ourselves in using only the highest quality ingredients and strive to keep an inventive menu with weekly specials that combine tastes from all around the globe with the one of the most popluar foods in the world, the french fry.